It’s Santa Specials time! This year we’re having ‘Superb Santa Specials’ as steam locomotive Superb will be hauling all the trains! Don’t forget to check out our Weekly Newsletter which gives you even more news and information. 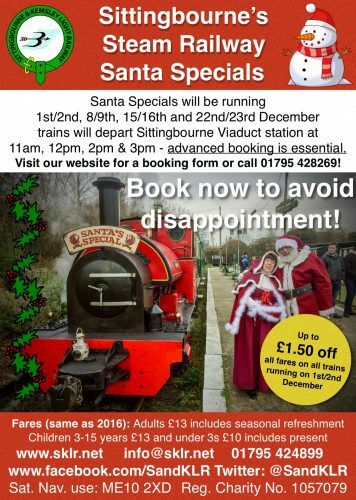 Have you booked your Santa Special yet? Click the link to see the availability and to find out how to book. 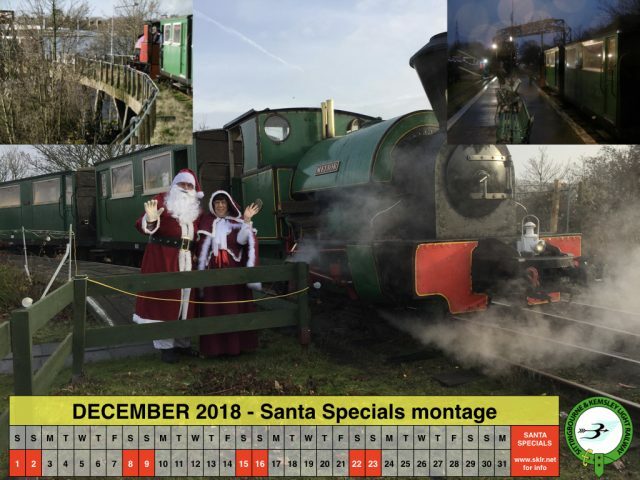 Membership is reasonably priced and covers your train fares for the whole season including Santa Specials in December – click here for more information so you need not pay the fares again! Trains shown as GREEN have lots of availability, those in ORANGE are more than 50% booked and those in RED are fully booked. Dates to be advised – Work Weekend – Works Train departs Sittingbourne Viaduct at 10am, returning at 4pm.